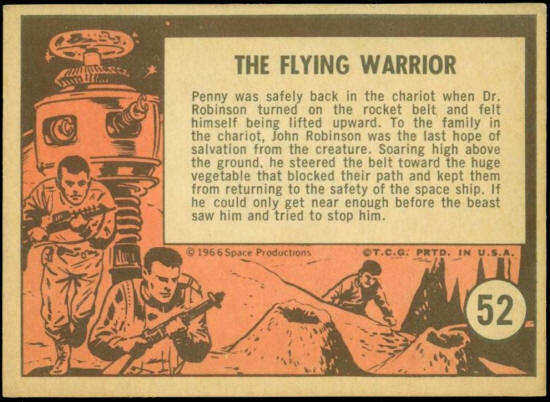 Penny was safely back in the chariot when Dr. Robinson turned on the rocket belt and felt himself being lifted upward. To the family in the chariot, John Robinson was the last hope of salvation from the creature. 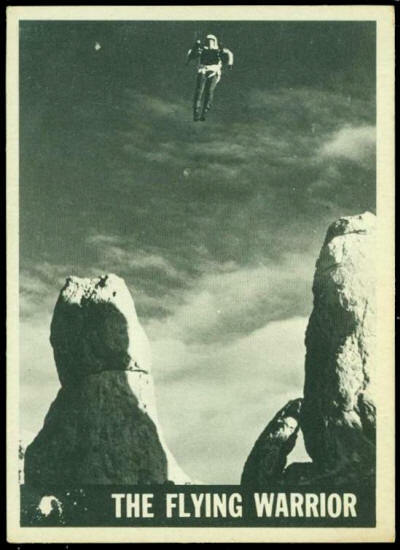 Soaring high above the ground, he steered the belt toward the huge vegetable that blocked their path and kept them from returning to the safety of the space ship. If he could only get near enough before the beast saw him and tried to stop him.